In response to the global climate change in recent years as well as the lack of resources, businesses are promoting "Green growth" as new thinking and high-quality development as the main goal. This makes the global economic development a giant step toward a "green economy." Enterprises that recognize these changes and take the benefit of the new competitive advantage are the best opportunities to gain for sustainable growth. Green innovation is not only boosting a firm’s competitiveness while maintaining the environment and its valuable resources for the future generations but also new products and processes which provide customer and business value but significantly decrease environmental impacts. Green innovation also results in positive environmental externalities: the value created by cleaner technologies can be appropriated by the entire society. *Permanently Magnetic DC Brushless Motor, IP54, with insulation F and has overheat protection. *Variable frequency control, low starting current, high efficiency, energy saving. *Permanent magnetic motor design : 1.5 times of starting current. 230% high starting torque. Compared with traditional insulation motor which has 6-8 times starting current, PM motor save energy at least 30~50%. Not only Green innovation will be the necessary for enterprises to achieve sustainable development but also the only irreplaceable avenue. Through "Green innovation", Cheng Day Group reduces the consumption of resources, develops green technologies that reduce pollution, and creates a sustainable shared value of the environment, society and the economy. 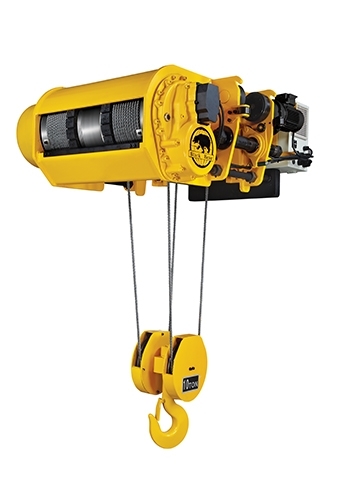 We would like to recommend our new PM wire rope hoist series to you. Prototype of Permanent Magnet Motor was created in year 2008, reliable & stable. 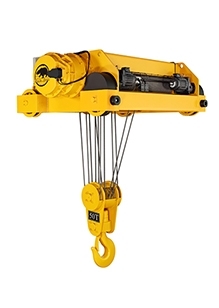 After PM hoist completed its design and durable test, we launched PM series in the beginning of year 2015. Customers all noticed it from our exhibitions and global promotions in recently two years, won much attention, try orders or mass production orders after its launch. PM series mainly used in the field of Precision Machining / Processing, Mould factory, or factory with limited installation space. Main features with variable speed fulfilled through inverter control and adjustable pendant, modern fashion look like most advanced European type, compact design with ultra-low headroom, CE certification and stamp, load cell with monitor, patented Geared limit switch & adjustable rope guide…global patents as additional value of marketing. 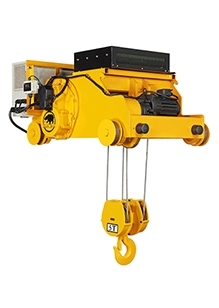 A Perfect Hoist with No Optional Charge.